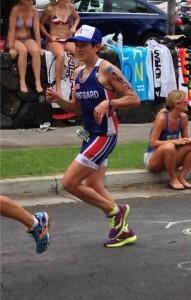 Rachel on the run in Kona 2013, sporting her signature trucker hat! Today I'm really pleased to welcome on to our podcast the winner of the women's 30-34 Age-Group at Ironman Coeur d'Alene, Rachel Beckmann. Rachel is an active duty commisioned officer in the U.S. Coast Guard presently stationed in Alexandria Virginia. Amazingly, I managed to catch her not moving for a few minutes while she was out in Las Vegas on vacation visiting family (AND training for the 2014 Ironman World Championships in Kona). This woman doesn't stop and sit still for too long so I feel really fortunate to get her on our podcast. Rachel and I go way back to her days as a cadet at the Coast Guard Academy. (I was also at the Academy playing percussion as a member of the U.S. Coast Guard Band). In the time we spent together as coach/athlete, I really learned so much from her. Honestly, I still had so much to learn about coaching (and still do) and I think she was too young to really see it! 🙂 I also learned about her relentless work ethic and inner drive to succeed, and that she is truly as intelligent, fun-loving, kind hearted and just wonderful to be around, as anyone you will ever meet. Rachel has blossomed from that enthusiastic young collegiate newbie into a full-blown Ironman age-group champion, who has certainly learned a thing or three on her path to multiple Ironman finishes and numerous overall race wins. In today's podcast, she looks back on the journey and shares some thoughts on the fun she's had, the difficulties, what she's learned, and what it's like to live life as a young female officer serving our country while also pursuing her "personal-best" in the sport. How did her childhood, as well as her experiences as a female cadet at a military academy impact her development as a triathlete? How does she balance her career as a Coast Guard officer with her triathlon lifestyle? What has she learned that could help YOU? 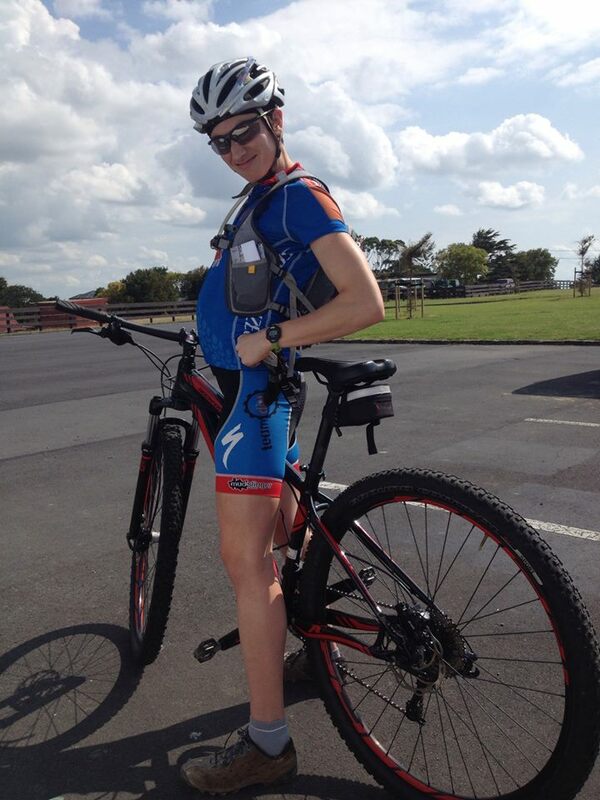 Rachel knows how to keep training FUN, and can really rock the mountain bike too! What are her most important training, racing, and life "secrets to success?" 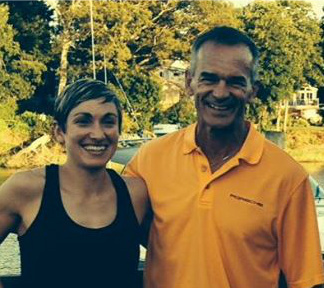 What about the challenges she faced during this year's Ironman Coeur d'Alene. How did she respond that ultimately lead to her age-group win? Thanks for joining me Rachel, I enjoyed our chat! Make it a great day everybody!